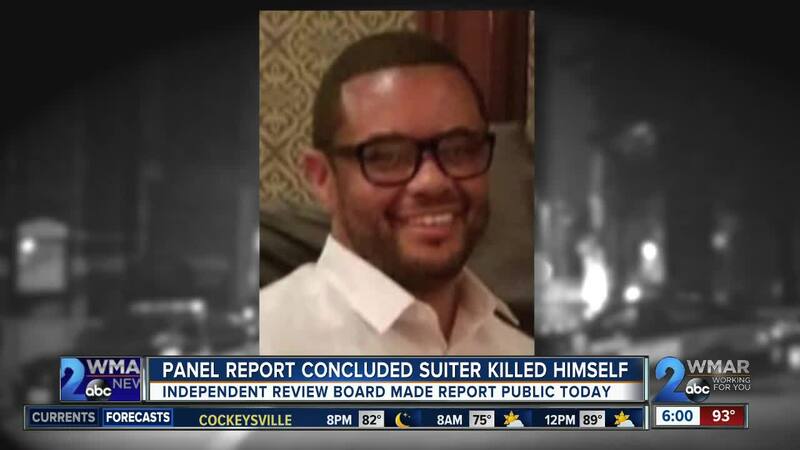 The Baltimore Police Department has just released the final report from an Independent Review Board tasked with investigating the death of Homicide Detective Sean Suiter, in which the board determines the detective's death was most likely a suicide . • Suiter’s attorney repeatedly attempted to contact Suiter the afternoon of November 15 to confirm a meeting that evening at 5 p.m., but Suiter ignored the calls and texts. The release Tuesday included a 207-page report detailing the boards investigation and findings, as well as video from nearby surveillance cameras , and an audio clip of Suiter's final radio transmission . The seven-member panel reviewed thousands of pages of documents and photographs, watched videos of witness interviews and footage from body-worn cameras and neighborhood surveillance, and listened to radio and 911 transmissions. The panel interviewed more than 30 additional people, some multiple times. They drafted their conclusions after three face-to-face meetings, three trips to the scene of the shooting, and several phone conferences. The board recognized the emotional toll the killing put on the homicide unit, which had never previously lost a detective to a perceived murder. Those same detectives were then tasked with searching for his killer. It said if such a case arises again it should be investigated by an outside agency. What became a point of contention following the killing was determining what information was fact and what was hearsay. “The leadership of BPD must firmly commit to a policy and practice of being honest with the public,” the report reads, saying “in the early stages of the investigation, the truth may be murky.” The Commissioner, who was Kevin Davis at the time of Suiter’s death, at times shared with the public information that was unverified and proven to be inaccurate. This misinformation helped fuel rumors and speculation about the death. Speculation about Suiter's death grew when his name became t ied to the Gun Trace Task Force investigation and eventual prosecutions of the past two years . 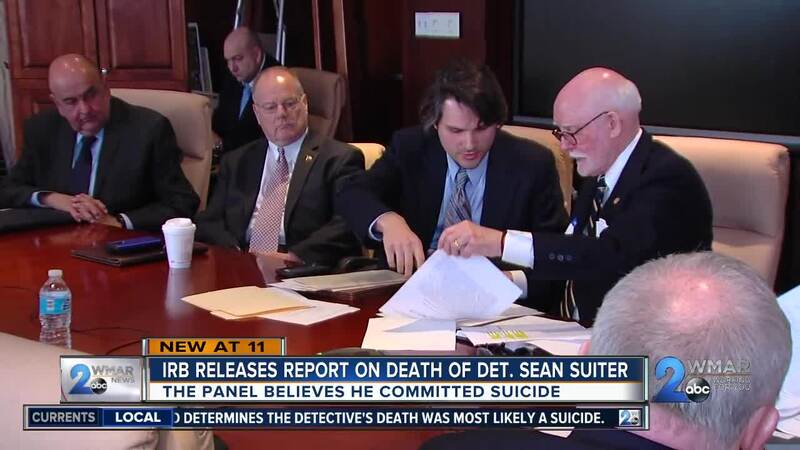 Suiter's was scheduled to testify the day after he was shot. The detective was involved in an incident in 2010, in which he and two detectives from the now disgraced unit attempted were involved in a chase that killed an 86-year-old man . READ MORE: City leaders react to BPD corruption trial testimony implicating slain detective Sean Suiter . The IRB, appointed by the former, and now federally charged Baltimore Police Commissioner Darryl De Sousa, first convened on April 12th . The panel of seven lawmen, including two former Baltimore Police Homicide Unit members, is led by James “Chips” Stewart of CNA Analysis and Solutions out of Arlington, Virginia. The panel went on to meet nine times from April through August and just today produced that final document on the death of Sean Suiter. Suiter was shot to death in the 900 block of Bennett Place on November 15, 2017 . The original ruling of his death, and the ruling that still stands today by the Office of the Chief Medical Examiner is that Sean Suiter was murdered. Suiter was shot by his own service weapon. 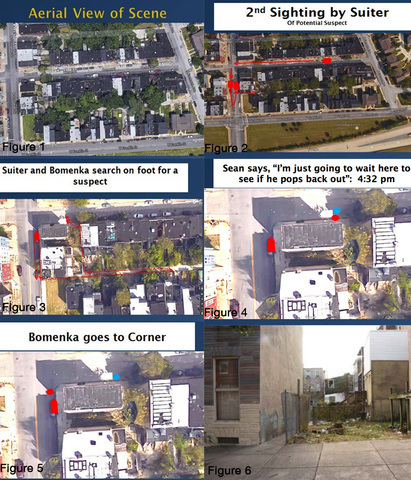 Baltimore Police sources close to the investigation confirm that the final and fatal shot was to the back of his head near his right ear and exited through his left forehead. That slug was recovered by police, buried in the dirt which led detectives originally to conclude Suiter was in a struggle and forced to the ground. Sources also point to other forensic evidence of dirt marks on Suiter’s pants and an unintelligible radio transmission as other signs of struggle with a suspect that eventually overpowered him. The medical examiner ruled Suiter’s death a homicide as police continued to lock down the Harlem Park neighborhood looking for leads . Baltimore Police say they were originally looking for a suspect described as a black man in black jacked with a white stripe. As the case continued to linger with few developments, former Baltimore Police Commissioner Kevin Davis requested the FBI take over the investigation, but the agency declined . There is still a $215,000 reward for any tips leading to the arrest of a suspect. Zachary Babo, Jeff Herman, Corey Shegda, Khalida Volou, and Ryan Dickstein contributed to this report.